This week has been dominated by several issues affecting banks and financial institutions which could have far reaching affects. Britain has been gripped by a banking crisis after a computer glitch resulted in failed payments for thousands [BBC / BBC]. Businesses found themselves unable to pay clients, shoppers were left short of cash and even left stranded at the checkout. Home movers also suffered extra stress after delayed transactions put back the handover of keys. Even a few prisoners were kept behind bars after bail payments could not be confirmed. While the banks apologized, delays continues more than a week on and the rights to consumers and whether they would receive adequate compensation [BBC]. Banks also faced criticism after it was revealed Barclays had manipulated interlending interest rates known as Libor [BBC]. And soon after the FSA and other regulators said they were investigating similar behaviour in other financial institutions sending shares tumbling. Before this week few people outside the financial sector had heard of Libor, which is short for the London Interbank Offered Rate [Q&A - BBC]. But after Barclays were fined £290 million [$450 million] for trying to manipulate this key bank lending rate, Libor became the buzz word in the news. And there were calls for the Chief executive Bob Diamond to go, though so far he has only announced he will not take a bonus, which last year amounted to £2.7 million. The issue fell at the government's feet with Prime Minister David Cameron saying that Barclays Bank management had "serious questions" to answer and called for an inquiry [BBC / BBC]. But those questions may also need to be answered by other institutions. 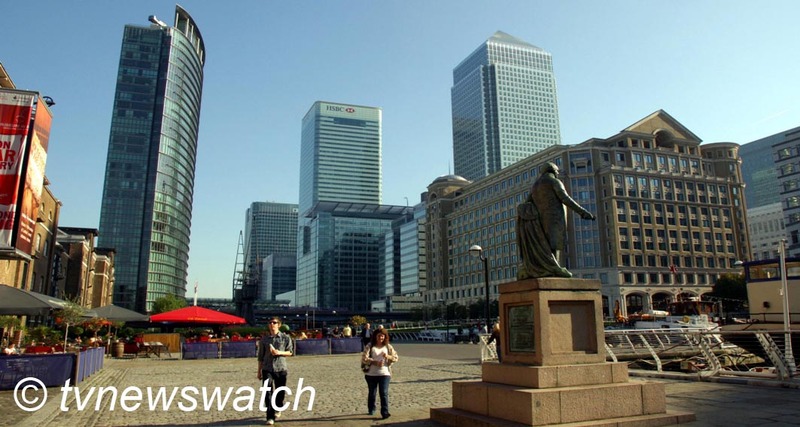 The Financial Services Authority is now looking into the behaviour of other UK banks and regulators in Europe, the US and Asia have said that investigations into other banks are "ongoing" [BBC]. The UK's Financial Services Authority said the early signs were that Barclays had not been the only firm involved and it was confirmed that many high street names including HSBC, Lloyds and Royal Bank of Scotland were being investigated. Further afield Citigroup, JP Morgan and Deutsche Bank are also facing scrutiny.. The investigations have upset markets sending shares in Britain's biggest bank down almost 16% wiping some £3 billion off the company's stock. London's wider FTSE 100 Index also tanked dropping 30.9 points to 5493.1, while the Dow Jones Industrial Average on Wall Street dropped more than 1% in early trade Friday and indices across Europe also fell [This is Money]. On the other side of the world economic data was a little harder to find for some after China blocked access to Bloomberg and BusinessWeek apparently in retaliation of a story delving into Xi Jinping's financial affairs [BBC]. China also blocked web searches for the name of leader-in-waiting and micro-bloggers found they could no longer search terms such as 'Bloomberg', "Xi Jinping" and "crown prince". In addition, many of the names and companies mentioned in the Bloomberg story were blocked, including Xi Zhongxun (Xi Jinping's father), Deng Jiagui (Xi's brother-in-law) and New Postcom (one of many profitable companies owned by Xi's extended family). There was a fairly mute response from Bloomberg who only acknowledged their websites were currently inaccessible. It was, said a company spokesman Ty Trippet, "in reaction, we believe, to a Bloomberg News story that was published on Friday." However, Bloomberg Terminals, which constitute the company's main platform for financial information and its main source of revenue, were not blocked, the spokesman added. While the blocking of websites is nothing new in China, the fact that an important financial hub has been singled out may be concerning to those trying to make important business decisions. There is a seeming lack of transparency on both sides of the Great Firewall of China however. Despite an open and transparent system in the West, Barclays, and possibly other financial institutions, have managed to rig interest rates to boost their profits. It is clear that as well as free access to information, there also needs to be proper regulation covering banks. And with the fallout from the glitches affecting other institutions, a review must also be ordered. The glitch shows how vulnerable the banking sector is to electronic failure. In some respects the electronic failure was minor, but the incident reveals the risks that can be posed by software or hardware failures which could come from many sources. There is a crisis of confidence in the banking sector, compounded by the PPI scandal, banking bonuses and now with computer glitches and rigging of interest rates. A tightening of regulations is needed to boost confidence and bring stability. But regulations and rules need to go beyond the borders of any one state or country. China in particular could be singled out for not playing by the rules. Until the RMB is openly traded, as is the dollar, pound and euro, there will be a crisis of confidence when trading with this growing economy. This is a country which has been openly accused of currency manipulation, a situation which must be addressed sooner rather than later. China must also open up in terms of a free flow of information. While the government might be concerned over political fallout from a more open Internet, the blocking of news, and especially news connected to commerce and finance and commerce, could have far reaching effects. The blocking of Bloomberg's news portals is not the first example of China stemming the flow of financial information [tvnewswatch: China falsifies data, hides true scale of slowdown / tvnewswatch: Fake bank adds to long list of China's fake products / tvnewswatch: Risks ahead after China's credit bubble bursts] but it is perhaps the most high-profile example. The draconian approach of censorship may have a far more detrimental effect than the information would otherwise create.